I'm looking for something nice, someone to go to concerts with, someone I can call up if there's a great movie out, just something not complicated. Just something warming and comforting. I want companionship. Lets go hiking together, lets hit the gym together! Lets have some coffee together and just "be." Does sgtbadwolf belong in this group? Does lutherlee3003 belong in this group? namaste! 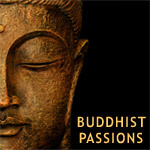 love the entire buddhist culture! Does gbrink2382 belong in this group? Does kelly2fun belong in this group? Does jwkeywest belong in this group? Does trext1988 belong in this group?